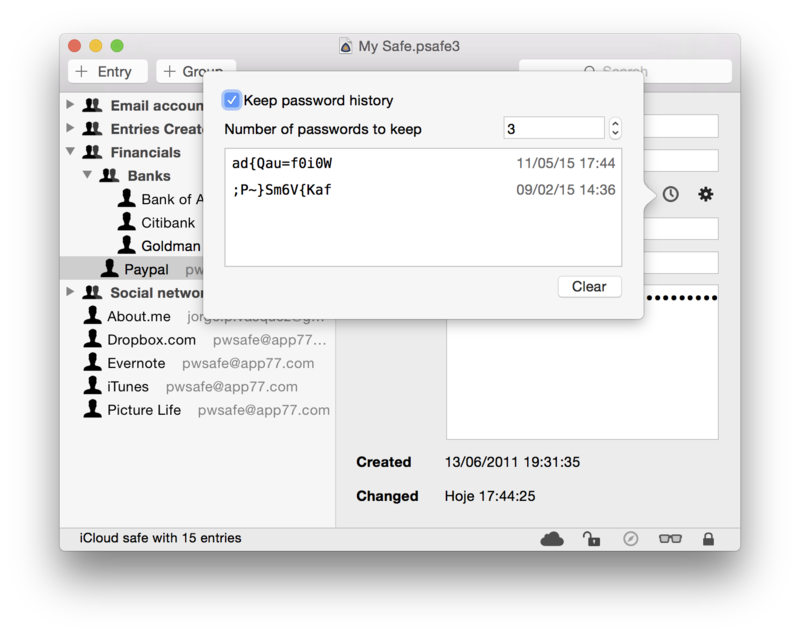 Every entry has the ability to save the previous passwords it used. When enabled, every time the password is changed the current one will be saved into the history. To view or edit an entry Password History data and option, use the little clock icon next to the password. Choosing "Update all entries" will modify all entries in your safe to use the new setting. This will not clear or otherwise change the saved history, it will only change the history collection policy.